The much awaited announcement about the Micromax IIFA Awards was made this morning in New Delhi. Micromax will introduce a limited edition IIFA Awards mobile phone and also provide content on it for its consumers, there shall also be a consumer promotion where consumers would rub shoulders with celebrity’s at the event. 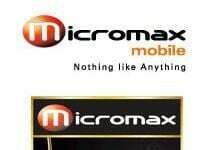 I have been watching micromax promoting the brand with the huge expenditure. I have a marketing plan with which the company will achieve a huge marketing with minimum expense. Infact i have a plan where in the company can earn for their advertisement, With a investment of less than $1million u can advertise the brand throughout india. U can even earn back the expenditure. If you need an extremely interesting and innovative idea pls contact me on my e- mail id. Thanking you.